Wondering what to mix with peach vodka? Sweet tea! It’s the perfect combination for an easy summer cocktail. Gin and tonic, rum and coke, vodka and cranberry juice…you can’t get much simpler than a two-ingredient cocktail. 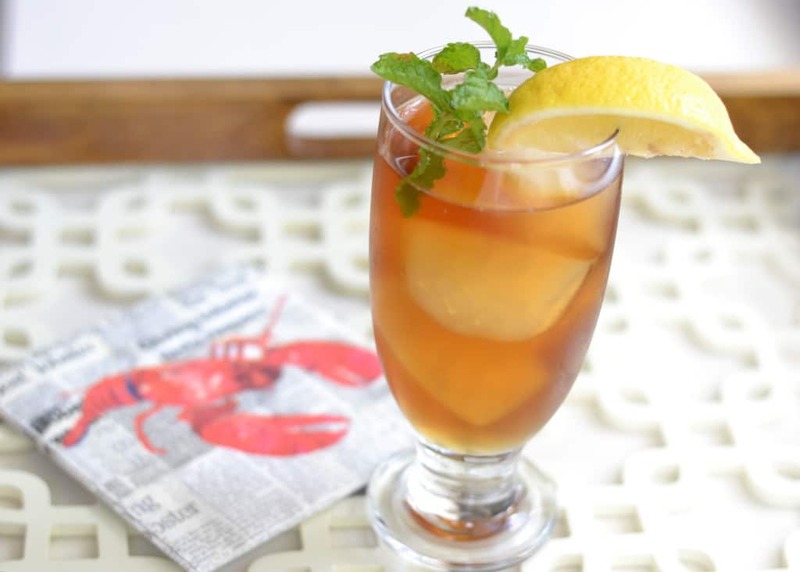 If you’re looking for something easy and refreshing to sip on this summer, you’ve got to try this combination: peach vodka and sweetened iced tea. First, I’ll share my SECRET TIP for making the perfect glass of iced tea. I’ve always liked my iced tea to be just a little on the sweet side, but not too sweet. Store bought sweet tea is way too sweet for me, and while I like unsweetened iced tea with a little bit of sugar stirred in, I hate how the sugar takes such a long time to dissolve and sinks down to the bottom of the glass unless you’re stirring it constantly. The solution: Buy a bottle of sweet tea AND a bottle of unsweetened tea and mix them together. I like to use a ratio that’s about 2/3 unsweetened tea to 1/3 sweet tea, but you can play around with the ratios to get it exactly how YOU like it. It tastes great, and you don’t need to worry about any undissolved sugar issues! 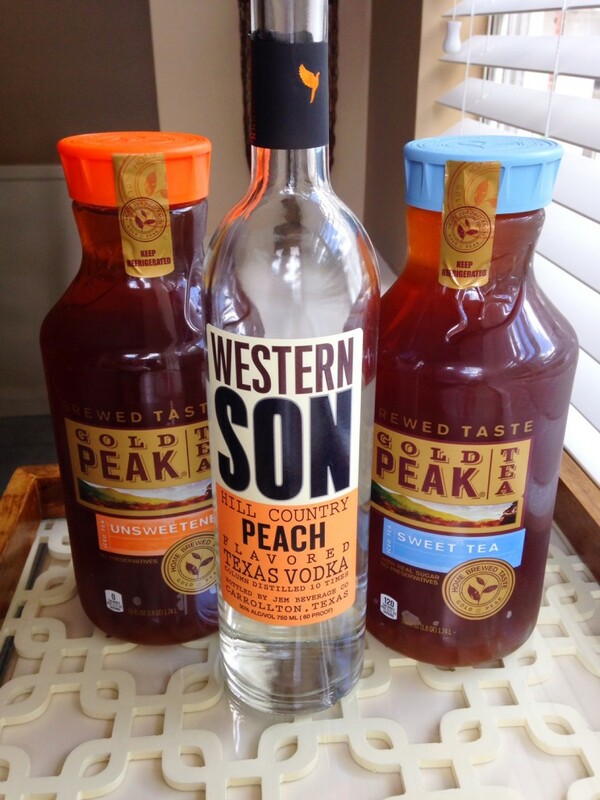 When you’re in the mood for a cocktail, simply add a splash of peach flavored vodka to your tea. Note: The vodka will add a little sweetness as well, so you might want to under-sweeten your tea if you plan on mixing in the vodka. 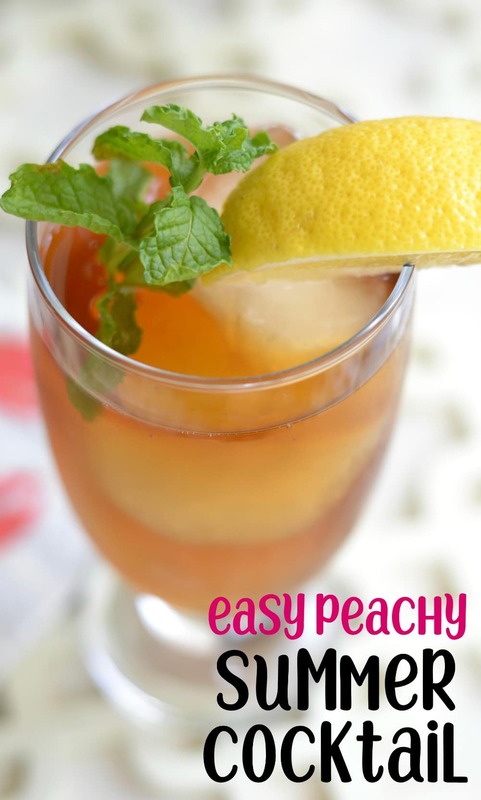 The combination of the peach flavor with the iced tea is oh so refreshing and summery, and this peach vodka cocktail recipe could not be any easier to make! If you’re entertaining, or just want to get fancy, you could use slices of frozen peaches in place of ice cubes, or top it off with some fresh mint and a lemon wedge. Cheers! Another favorite easy summer cocktail recipe of mine is the Paloma. 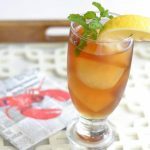 An easy summer cocktail made with peach vodka and sweet tea. You can adjust proportions as needed to suit your taste. I personally think sweet tea is too sweet, which is why I combine the unsweetened tea and sweet tea together. I add Blueberry vodka to iced tea, yum! Ooooh…I’ve never tried blueberry, but it sounds delicious!